Here’s what happens when we invest in income-generating activities. Our gifts grow. 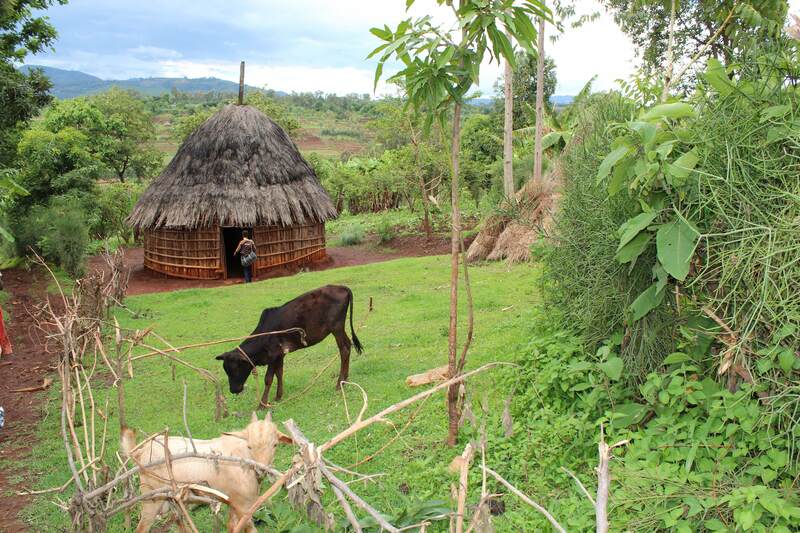 This photo taken during a recent site visit, checking in on this woman who had received four goats via an IGA grant. Four months later, the goats were fat and she sold three at market, earning enough money to buy a young cow. When the cow grows to adulthood, she will bear young calves and give milk. The calves can then be sold to acquire an ox to plow the fields behind the family home. A plowed field will allow the family to be able to plant more produce that they can in turn sell at market. All because of four small goats.